We’ve worked with Bohunt Education Trust (BET) for a number of years, producing print, digital and on-site projects for all but one of its member schools. In November 2017, we delivered a new website for the Trust itself. 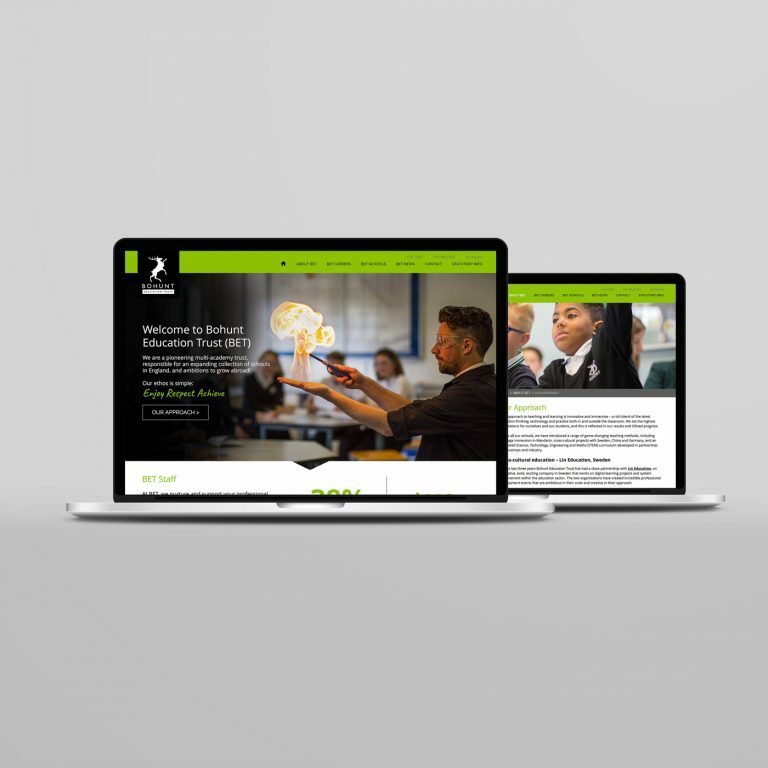 The new site sets out BET’s values, vision, policies and approach to teaching and learning, and provides a portal for parents, students and staff at all its six UK sites. The Trust is expanding into China, so our design had to be clean, clear and easy to navigate for non native English speakers.